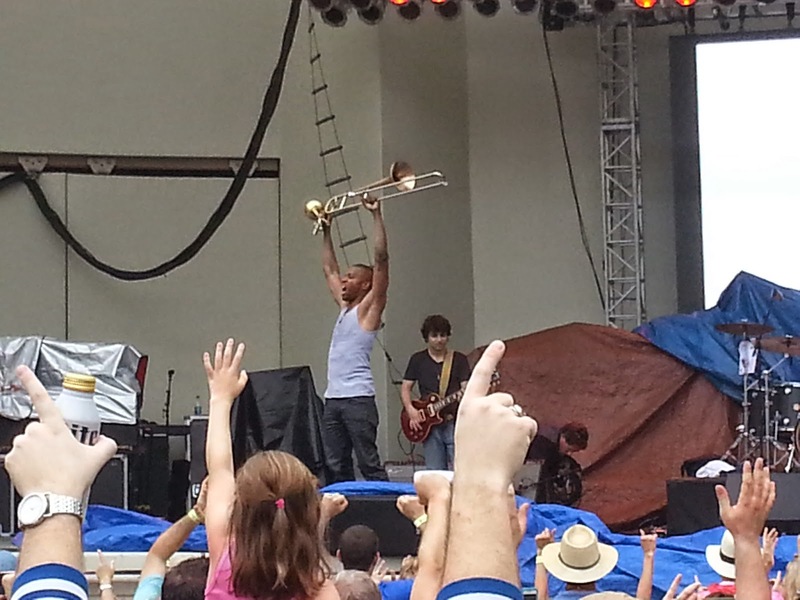 I have listened to a few Trombone Shorty albums and I'll be honest I'm not a huge fan of his recorded stuff. However, he brings on a completely different presence when on stage. 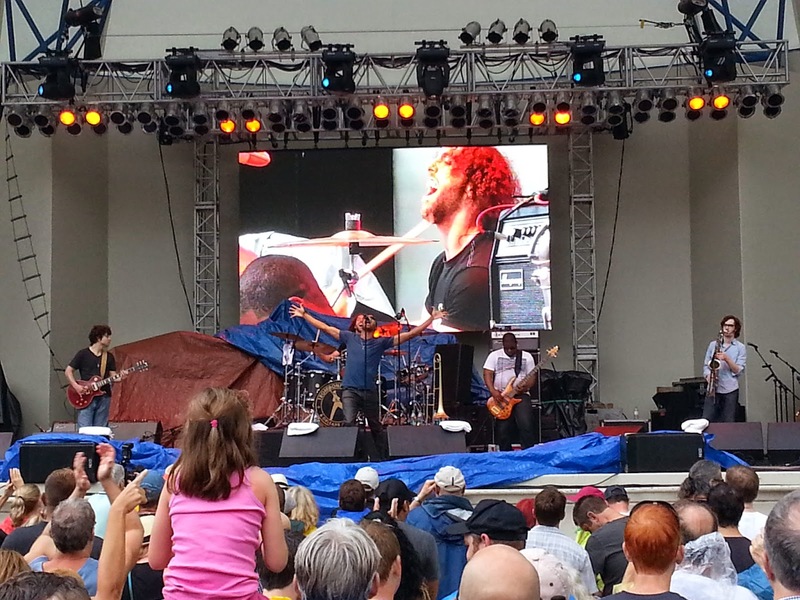 Being a young guy and having control over his band the way he does is truly impressive. 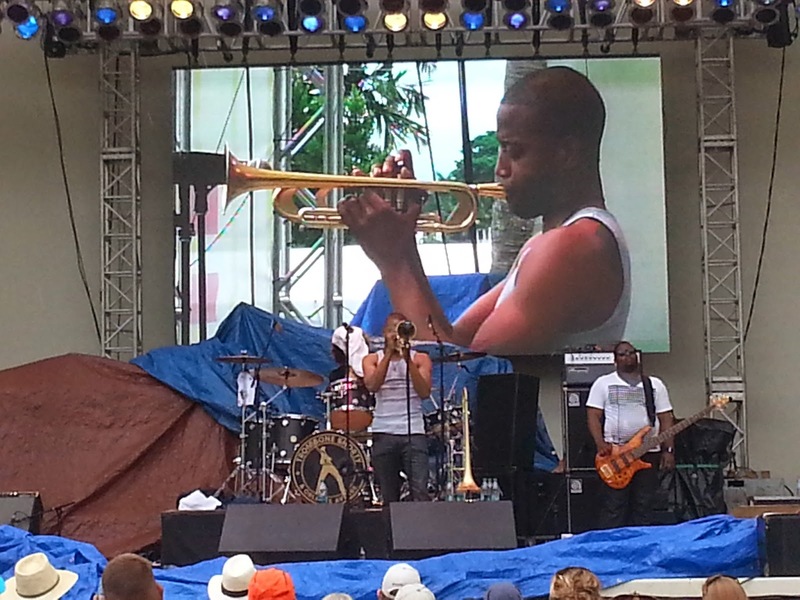 The show was filled with (of course) trombone and trumpet solos which Shorty is an absolute master at. This was a family affair however, with Shorty bringing out each of his band mates to center stage and having them show why they are in the band. This is something that you would not expect a man with this much talent and presence to allow. It reminded me of James Brown taking a step back and allowing his JB's to lay down the funk. A man that knows he can just own the stage but having enough respect for the band that carries him, he takes a back seat and enjoys the show himself. 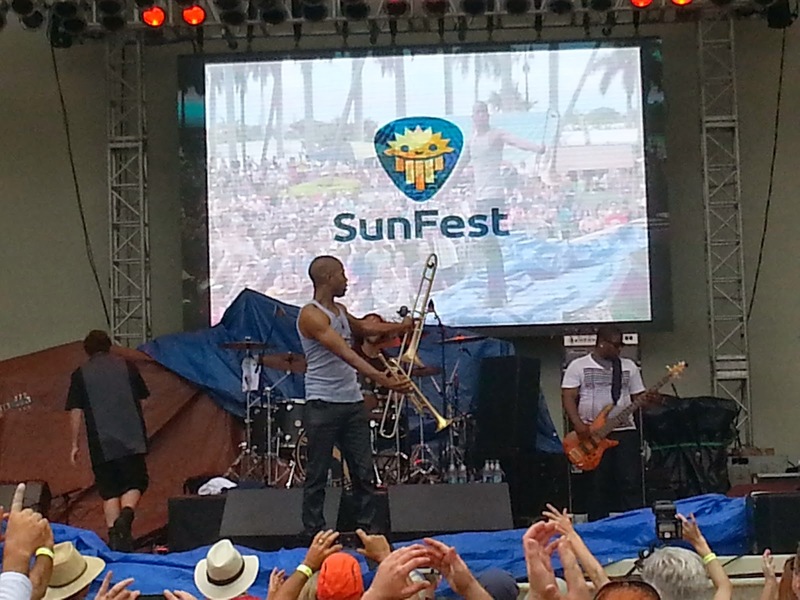 Shorty came on with a vengeance and didn't allow much space for belting out lyrics in between his rousing trombone and trumpet set. The rapid pace of Shorty's horns dazzled the somewhat zoned out crowd. Even the old, leathery skinned yacht club members got into the fun and grooved with the New Orleans sounds. That is what jazz does to you. 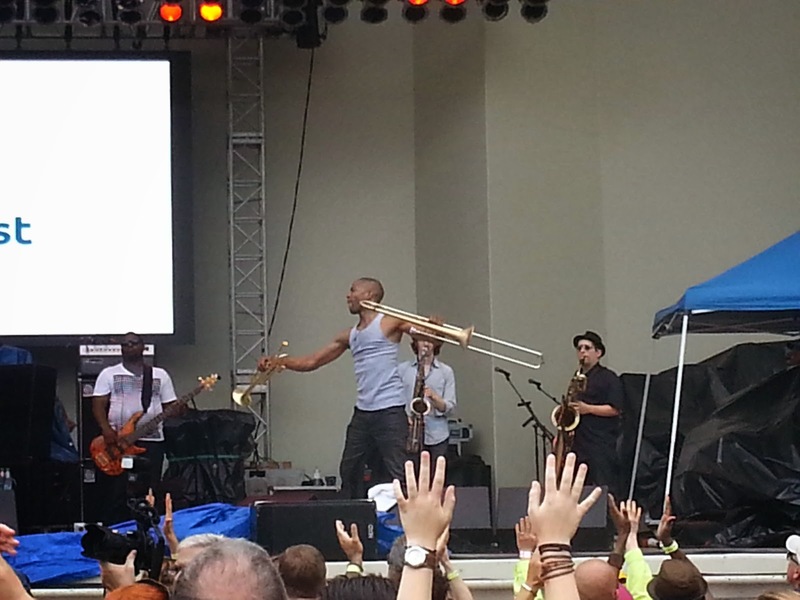 It carries you to a place that you're not too familiar with, but the way it makes you feel makes it all ok. How could you be in a bad mood after watching Trombone Shorty, the new age of jazz, pour his heart out on stage? The answer is you can't and you'll never listen to jazz the same way again.